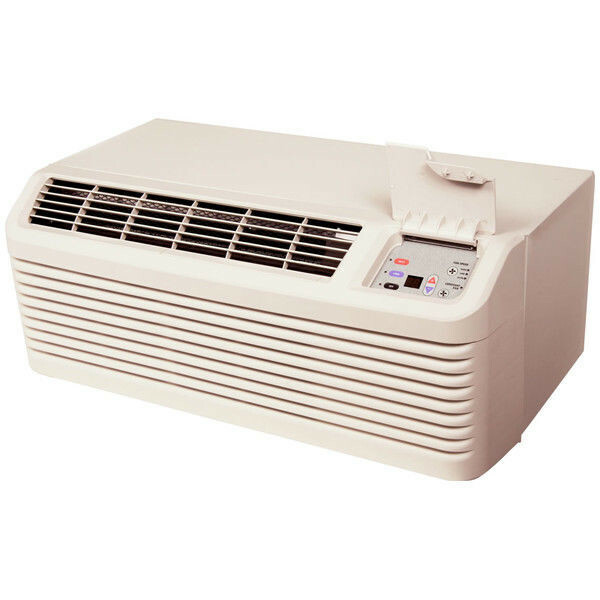 The Amana PTC Series of PTAC Air Conditioners provides excellent construction and longevity for those who are operating in areas where a heat pump is not needed. Available in 7k, 9k, 12k, 15k, and 18k BTU versions, PTAC Crew offer a PTC Series PTAC to fit any size room. The PTACs offered here operate at 208/230 V at 20 Amps. Please be sure that you have a properly operating NEMA 6-20 outlet available at the installation site. 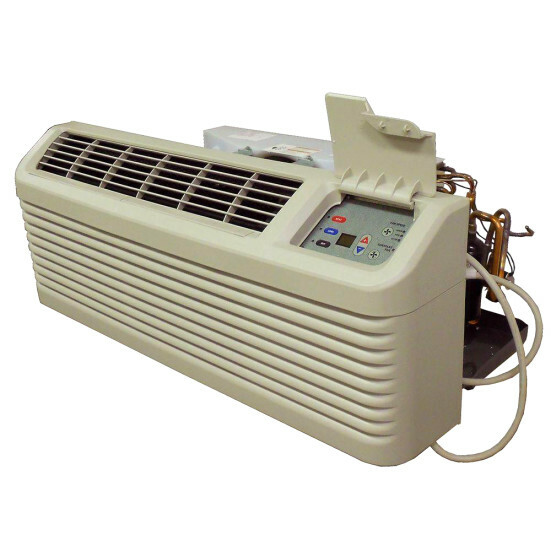 These units are compatible with Amana's DigiSmart Wireless Energy Management System. When installed along with the DigiSmart EMS, you gain an incredible amount of control over when your PTAC operates and how. This can have a surprisingly large effect on your energy bills, particularly during peak usage months. Does this sound good but you don't have an existing Energy Management System in place? Call or email one of our representatives now for more information on how DigiSmart Energy Management could be saving you money every month! 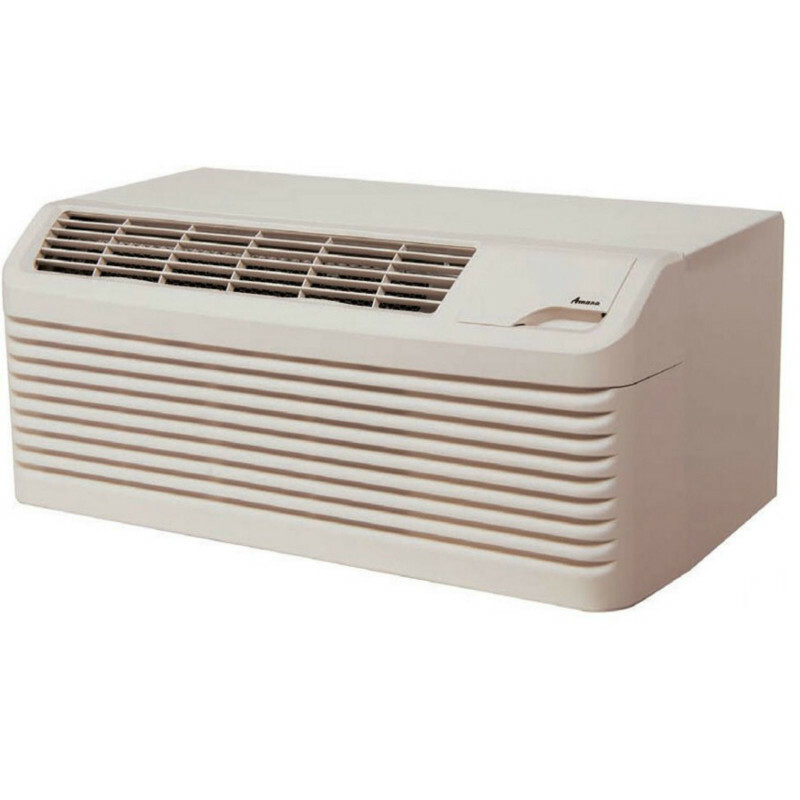 Amana Packaged Terminal Air Conditioners are designed from the ground up to be quieter and longer lasting than the competition. Every Amana PTAC is engineered and assembled in the United States. Each unit must meet rigorous quality-control standards before it can leave the factory floor. This is backed by a one-year unit replacement warranty, plus a full five-year limited parts replacement warranty. When you buy Amana PTACs for your property, you can rest assured that quality and efficiency come with them. Is this PTAC going in a new location? Has your existing wall sleeve seen better days? Treat your new PTAC to a fresh sleeve and grille to complete the clean new look! PTAC Crew has a variety of sleeves, grilles, drain kits, and other PTAC accessories to make sure your new investment operates at its best. Check out our Parts & Accessories Department today!